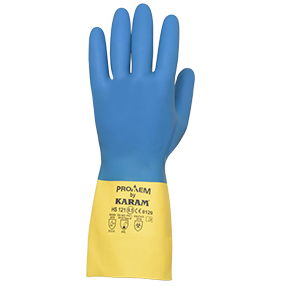 Tested to the latest EN standards, EN 374-2016, KARAM Prokem range passes the stringent permeation test for a vast range of chemicals; and KARAM is the only company in the market that provides the exact Breakthrough time of these chemicals. 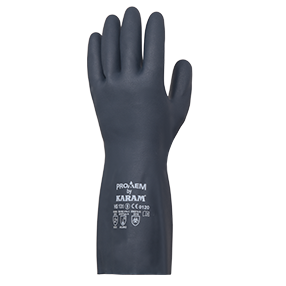 This range also passes the stringent Degradation test, as per the latest standard. 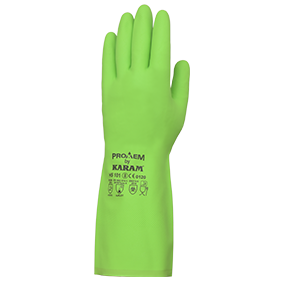 The Flock-lining done by KARAM on its Prokem range is of 100% cotton, to increase the absorption of perspiration. Even-distribution of Flocking is achieved by the unique Close Chamber Process (CCP) Technology. 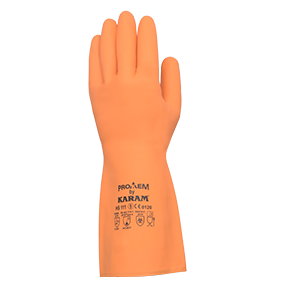 The full range of Prokem is Silicon free, ensuring no residue is left, hence is an ideal choice in industries like automobile painting plants, etc.